UNISON North West LGBT Committee and Northern Wave would like your branches support in joining them for their first Red Ribbon Ball on Thursday 29th November 2012. The evening which is being held at the Mercure Hotel, Portland Street, Manchester is set to be a glamorous evening featuring drinks, food, live music, and performances in the heart of Manchester to mark World AIDS Day. The night will begin at 7.00pm with a drinks reception which will be followed by a fabulous three course meal. 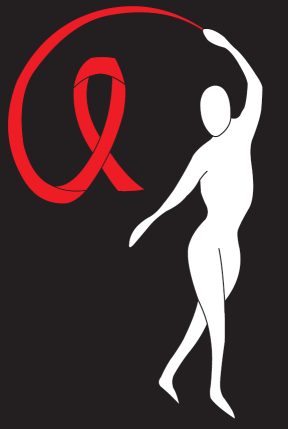 Dress code is black tie and guests are encouraged to wear red, the colour of World AIDS Day. The evening will be compèred by singer, songwriter, and political activist Claire Mooney a well known mover and shaker amongst the North West’s LGBT scene. Also appearing: Paul Brady performing the best of Sinatra, Dean Martin and Michael Bublé along with rock and swing all-time party favourites. Our guest DJ will then be spinning the greatest dance hits, show tunes and camp classics from the 70’s to now, through until the early hours. We will also be holding a raffle with some fantastic prizes. We really hope you can join us for what promises to be a fantastic night of fun and celebration. Staff and volunteers will be present at the event; fundraising, raising awareness and handing out red ribbons. Proceeds from the event will go to support the work of the George House Trust (a North West HIV charity), UNISON there for you (UNISON’s own welfare charity) and Northern Wave. Everyone who purchases a ticket will also be entered into a prize draw for free overnight accommodation (courtesy of the Mercure Hotel) and access to our VIP drinks reception (sponsored by Thompsons Solicitors) prior to the dinner. So, get your glad rags on and show your support. Tickets are priced at £50 per person (group discount available) and the event is open to UNISON members, their families and friends. A booking form is available here along with a promotional flyer here. If you would like further information please contact Janet Caulfield (UNISON Area Organiser) on 0161 661 6790 or via email at unisonredribbonball@virginmedia.com.